According to a new study recently released by College Board, the nonprofit association that runs the SAT and Advanced Placement tests, a majority of the members of the Class of 2010 believe that earning a college degree is “definitely” worth it. 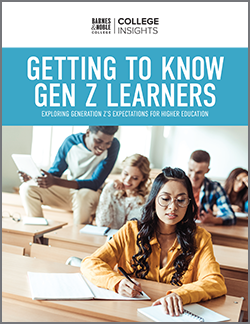 The extensive survey on college readiness and affordability, One Year Out, explores how young Americans assess their high school experience and its role in preparing them for life after graduation, whether they chose work or postsecondary education. College Is Definitely Worth It: One year out of high school graduation, an overwhelming majority (86%) feels a college degree is worth the time and money. This also includes a large majority (76%) not currently enrolled in college. College Is Essential for Career Success: Seven in 10 members of the class of 2010 say that a college degree will help them a lot in fulfilling their career aspirations, and another 18% say a degree will help somewhat. Cost Is a Barrier: Five in 9 students who attended college say that affording college was very or pretty challenging. 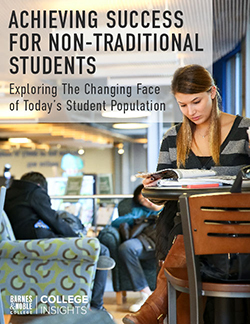 Of those who did not attend college, 56% said affordability was a key factor. College More Challenging Than Expected: A majority (54%) reports that their college courses were more difficult than expected. And 24% say they were required to take noncredit remedial or developmental courses by their college. Rigorous Course Work — More Math, Science, and Writing: Students wish they had taken more math, science, and writing-intensive course work in high school. Life Skills Are Also Important: Students wish their high schools had given more practical career readiness and more basic preparation for how to engage in a college environment — including how to manage personal finances. For more information on this enlightening report, read the entire College Board survey, One Year Out.